Well today has been quite the day already! -I was almost late for an interview downtown because I couldn’t find parking. But everything’s fine now. I made it to my interview on time, the cable guy just left, Tyler troubleshooted me through reseting the furnace, and I will probably only have a few bruises from the fall. Folks, I love wine. I’m sure a bunch of you out there do as well. 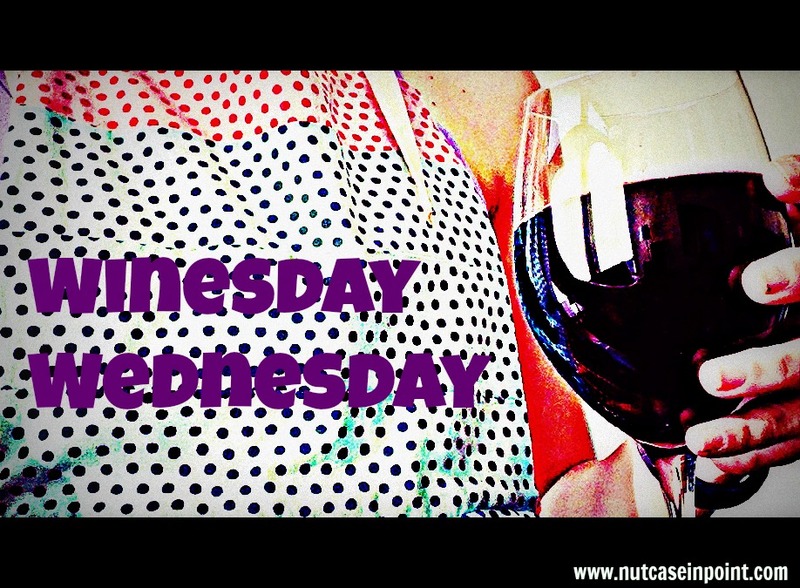 Here’s what I wanna do- I want to start a weekly Winesday Wednesday post. I figure the weekly post will give me -and you- an opportunity to share wine(s) (or other fun beverages!) that we have enjoyed over the past week. Does that sound cool? Here’s how I think we’ll get started– each Wednesday, I will publish a post with the various drinks I’ve had throughout the past week (again, doesn’t have to be limited to wine or even booze!) Sharing this can give inspiration to other readers on what to buy, what to mix, etc.. YOUR PART: send me pics or write-ups or what-have-yous regarding these bevvies to me so I can include them in the post! If you get those to me by Tuesday night-ish, you’ll be included in the post! Sound Cool?!! I think so! I’m looking forward to see what you guys are (or aren’t) enjoying!!!! 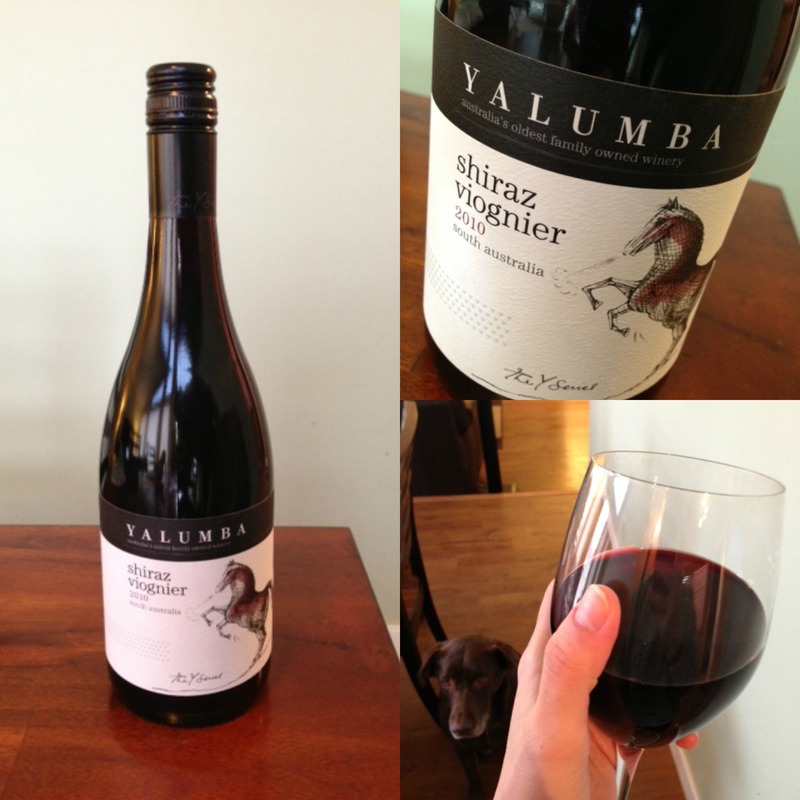 I had a glass of Yalumba Y Series Shiraz Viognier 2010. What caught my eye when I saw this at the store was that it had notes of blueberry. I had never come across a red that had that flavor, and I could immediately taste it with my first sip! (not overpowering though- it was just right). And guess what? I only had one glass. WHO AM I? Well, I had an interview this AM, so I didn’t want to overindulge. And I did my Ab Tabatas at the same time! Crazy. You are brave for driving downtown and trying to find parking during the week! I would have taken the c-train. Much easier and much less stress 🙂 Wish I liked wine so I could participate! ps- hope you are okay from your fall! Well, I can never find parking at the train station! I actually got spots today AND last week right in front of the bldgs- both were on 5th Ave.
Yeah, the fall was nasty. Stupid ice. What a fun idea! I had a glass of wine this week that I loved and I took a picture of the bottle because I wanted to remember it. I will have to pass it along!! I will definitely join in! I love wine too! But I think I’m gonna share something different to you this time! 🙂 If that’s ok! 🙂 Yay! Crap. Come Oct I am alllll over wine Wednesday!! Cant wait. But I will share some awesome boring virgin drinks!!! Oh you will be so jealous. 🙂 I hate driving downtown period. And I biffed this morning too – it was icy as hell!! Already sent you a photo. After a while you’ll get to know the secret places to park downtown. Besides, who wants to take the LRT when dressed in interview clothes? All those icky people. Haha I totally agree. Not a fan of public transportation.